Did you know that the Metropolitan Utilities District in Omaha projects the cost of water in 2014 at 1 dollar for every 328 gallons of water? Doesn’t sound too bad right? Well the average 5 zone sprinkler system uses 2250 gallons every time you water. Multiply that by the 3 to 4 times a week you water 6750-9000 gallons every week. That’s $27.44 a week to water your grass with the smallest of sprinkler systems. For every zone over 5 you have the cost to water increases by $7.31 each week. Therefore, a 7 zone system would cost $42.07 a week to keep your grass green through summer. Now why waste water or your money by letting your system run any of the days contributing to Omaha’s average of 32.56 inches of rain. 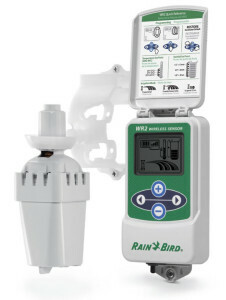 A wireless rain sensor installed for $120 will automatically stop your system from running when it rains. At the same time you will have peace of mind that you will never waste your money watering during or after a storm again. The units can more than pay for themselves the first year with an average years rainfall. Having a remote Rain Sensor shut-off device is a good way to conserve water. Metropolitan Utilities District is offering a $50 rebate on any rain sensor device installed by a licensed lawn sprinkler contractor. Call Midwest Sprinkler Service and Sales today for more details.